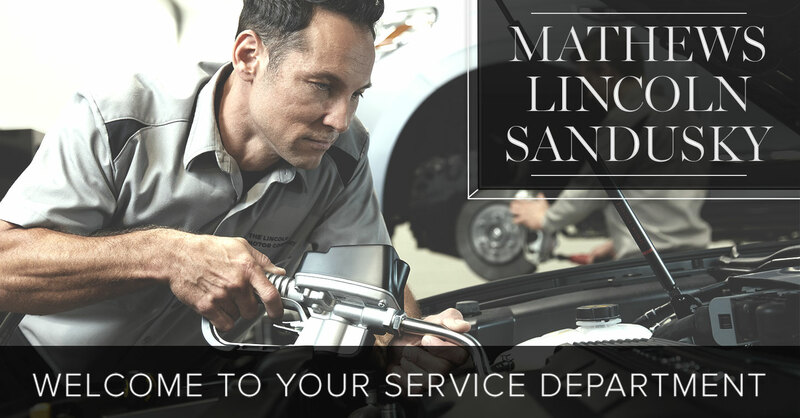 Thank you for looking to Mathews Lincoln Sandusky for your automotive repair and service needs. When it comes time to service your vehicle — no matter the make or model — you can count on our expert mechanics and affordable prices to get the job done right and save! From everyday maintenance items to complicated repairs, our state-of-the-art facility is ready to handle your every need. Put our expert crew to work for your today and save big on your next service! It’s all here — the highest-trained service technicians, the OEM parts you need and the prices that will keep you coming back time and again!